The Samsung Galaxy S5 is crammed full of so many useful features that many aren't as much of a focus as the more prominent ones like the fingerprint scanner and heart rate monitor. Below are just a few of the clever, useful, time-saving, or just plain cool things your Samsung Galaxy S5 can do. If your Galaxy S5 won't respond to your touch, you can make it more sensitive to your finger. Do this in Settings > Display; check the box next to Increase touch sensitivity. What this does is enables your phone to understand your touch more easily, even if you're wearing gloves. Private Mode on the Galaxy S5 lets you hide media files away from the person using your phone, useful in situations where you let someone else access your device, like your kids or a friend. You can put items of Gallery, Video, Music, Voice Recorder, and My Files in Private Mode to keep them secure from prying eyes. The Private Mode feature can be found in Settings, in the Personalization section. The Private Mode function works by having you select an unlock method that will reveal the hidden contents when entered correctly. You can pick from a pattern, PIN, password, or fingerprint scan. To throw something into Private Mode, select the files to hide, tap the menu at the top of the screen, and choose Move to private. You can view the hidden files while Private Mode is on, so you must turn off Private Mode to hide the data (you can even have it switched off automatically each time the screen goes black). If you like to listen to music as you fall asleep, but don't want a whole album to continue playing after you've dropped off, potentially wasting your battery, you can set the music player to turn off after a set period. Open the music player, and then its menu, and choose Settings and finally Music auto off to see all the options. This feature on the Samsung S5 lets you choose preset timers between 15 minutes and two hours, or you can set a custom timer. It is all too easy to miss a brilliant photo opportunity when you have to unlock your phone, find the camera app, tap it, and wait for it to launch. With one change in the settings, you can add a camera quick-start button to the Samsung Galaxy S5 lock screen. Go to Settings > Quick Settings > Lock screen, and enable Camera shortcut. Even if you have a screen lock in place, the camera will still be usable with this button. 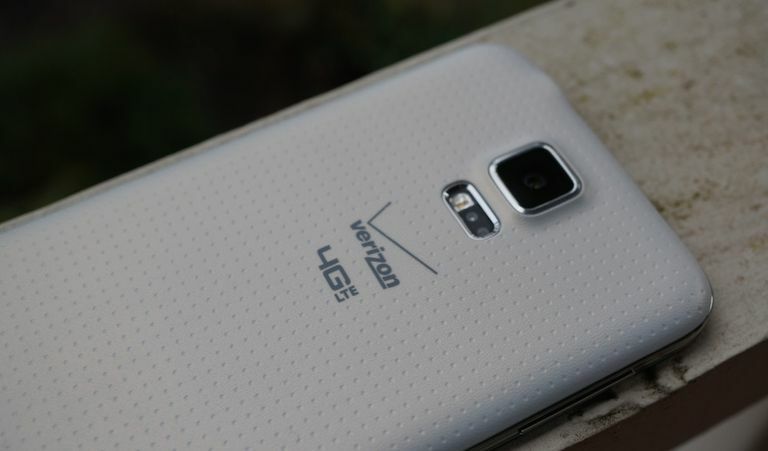 As you use your phone and receive messages, the Galaxy S5 will suggest priority senders. These are the people you message a lot, or that message you frequently; they can be added to the priority sender box at the top of the SMS app. You can, of course, decide for yourself who you want as a priority sender by tapping the + button and choosing from your contacts list. This useful setting lets you continue using an app when a call comes in. Rather than interrupting what you're doing to accept or reject the incoming call, a notification pop-up appears, letting you answer (even in speaker mode) or reject the call without leaving the app you were using. To make your Galaxy S5 stop interrupting you during calls, open the Phone app, tap its menu button at the top right, and then go to Settings > Call > Call-related pop-ups. Put a check in the box next to Call notification pop-ups. The fingerprint scanner on the Galaxy S5 has obvious benefits, and to use it, you have to register a fingerprint so that your phone will recognize it when it's time to scan it. However, did you know that you can register more than one fingerprint? You might put more than one fingerprint reading in your Galaxy S5 if you don't like having to change how you're holding the phone in your hand just to scan your fingerprint. Or maybe you want someone else's fingerprint to be able to open your phone, too. You can even register the print on the side of your thumb for one-handed operation. Open Settings and go to Finger Scanner from the Personalization section. Tap Fingerprint manager and then choose the plus sign to add another fingerprint. If this is your first time adding a fingerprint to your Galaxy S5, you'll find all the first-time instructions when you open the Fingerprint manager page.